A compendium of shell scripting recipes that can immediately be used or adjusted The Shell is the primary way of communicating with Unix and Linux and provides a direct way to program the system by automating simple-to-intermediate tasks. A compendium of shell scripting recipes that can immediately be used, adjusted, and applied The shell is the primary way of communicating with the Unix and Linux systems, providing a direct way to program by automating simple-to-intermediate tasks. 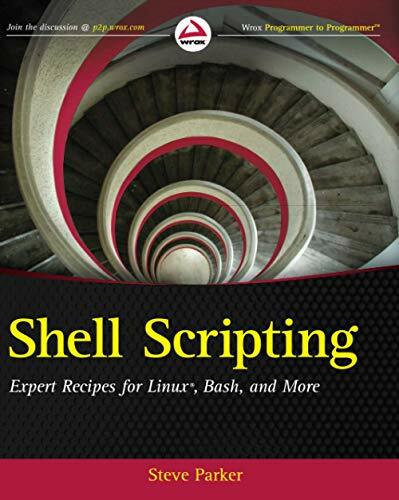 With this book, Linux expert Steve Parker shares a collection of shell scripting recipes that can be used as is or easily modified for a variety of environments or situations. The book covers shell programming, with a focus on Linux and the Bash shell; it provides credible, real-world relevance, as well as providing the flexible tools to get started immediately. * Shares a collection of helpful shell scripting recipes that can immediately be used for various of real-world challenges * Features recipes for system tools, shell features, and systems administration * Provides a host of plug and play recipes for to immediately apply and easily modify so the wheel doesn't have to be reinvented with each challenge faced Come out of your shell and dive into this collection of tried and tested shell scripting recipes that you can start using right away!